Join Me and Other Entrepreneur's Wives for an Unforgettable One-Day Mastermind Full of Connection, Love, and Belonging! Hey Amy Stefanik here, The Entrepreneurs Wife. I'm over the top thrilled to announce I will be hosting a Mastermind in February for my TEW sisters. 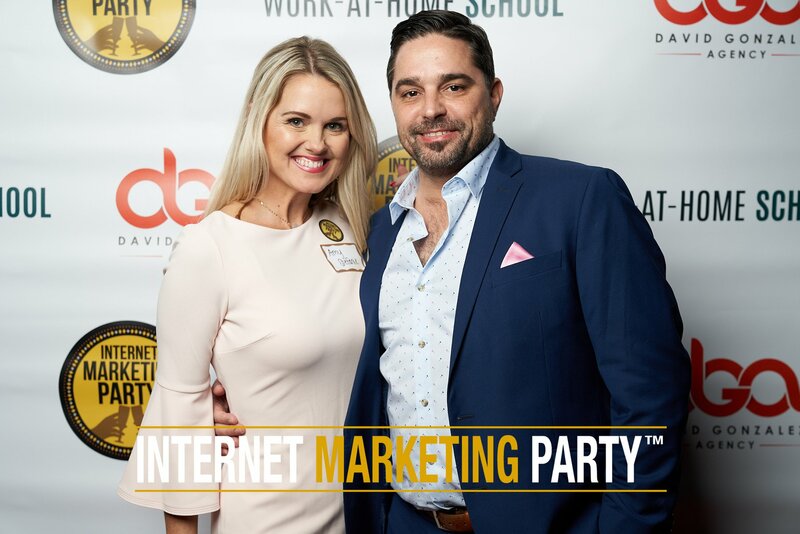 It's always fantastic to connect with you online and spend time with you on webinars and video chat, but there is nothing better than hands-on contact. Wouldn't it be extraordinary to spend the day learning from each other's experiences and creating genuine connections with women who are also trying to thrive in their entrepreneur lifestyle? I have to say heck yes! Join me on February 25th! We will network, connect and learn actionable techniques to equip us with the tools needed to thrive, feel involved, and conquer the insecurities that bubble up on this journey. The Mastermind is from 10 - 5 with lunch included. I only have 20 spots available to keep the intimacy I believe is needed to be open and allow everyone to share and interact. Don't wait, do this for you. Get real transformation and the tools and strategies to help you strengthen your relationship while connecting with a circle of women who understand you and will love, support, and inspire you like only we can. Hi friend, Amy Stefanik here. I'm so grateful that you found this page and I hope that I can be of service to you. Are you tired of feeling like no one understands what you go through? Sick of people telling you what you should do? Had enough of being isolated and alone in the world because what you do isn't "normal?" I use to feel like I was on an island like no one understood me like I was in a way the bad guy because I was either defending or offending in regards to the business. Matt would go to events alone and come back on fire with excitement and hope. I didn't understand because I hadn't been exposed to the same positive environment so instead of being wowed and supportive I was a wet blanket and slowly over time we started drifting apart, he had his people and belonged to a world I had no part of. Although this wasn't the only factor to the drift, this played a significant role. Through the struggles though, we realized how important traveling together was, and I became committed to going, learning and connecting so we would be on the same page. The big vision had become our one shared vision. To be honest, when I started going to events with Matt, I felt entirely out of place. The exciting part though was when I started talking to other entrepreneurs they would say, "you have to talk to my wife. If she knew she wouldn't be alone at these events, then she would come with me she would then understand me." They couldn't believe there was someone that was speaking the same language as their wives and I couldn't believe I wasn't alone. There was a massive community out there, and I was ready to tap in. I have been to a lot of events since my first, and the same thread holds true, everyone wants to belong. We all want a place, a group that understands us. We have a big desire for our loved ones to see the big picture and not only support us but to get on board. When we have this kind of partnership we feel like we are part of a tribe, and we feel supported, and that is invaluable. I decided I was going to create a space for the entrepreneur's spouse. I knew first hand the importance of feeling heard, loved and understood and I believed if I created a place where the spouse could come, get filled up, inspired, supported and had the fire lit in her she could go home with her entrepreneur and they could have exponential growth not only in their business but in their marriage. And That's Why I've Decided to Host a New Live One-Day Mastermind. Starting Over is a Gift - “I get to start all over again.” Has your entrepreneur family had to start over after not quite reaching the lofty goal? I feel you! And while I admit, no one who has invested years of hard work and sacrifice wants to go back and start over; it does have its advantages. I will be sharing the strategies that kept me moving forward and prevented me from giving up. Building a Strong Foundation - One of the greatest social problems facing our country is the breakdown of the family, and, more specifically, the breakdown of marriage. I will dive into the five pillars that I believe build an unshakable foundation for your family. Find Balance When You're Falling Apart - It doesn't always go as planned. When things are crumbling, I believe this is the time when your self-love and self-focus is critical. I will share with you my journey back to myself where I was and where I am now and all the tools I accumulated along the way to find the peace that is desired for this entrepreneurial journey. 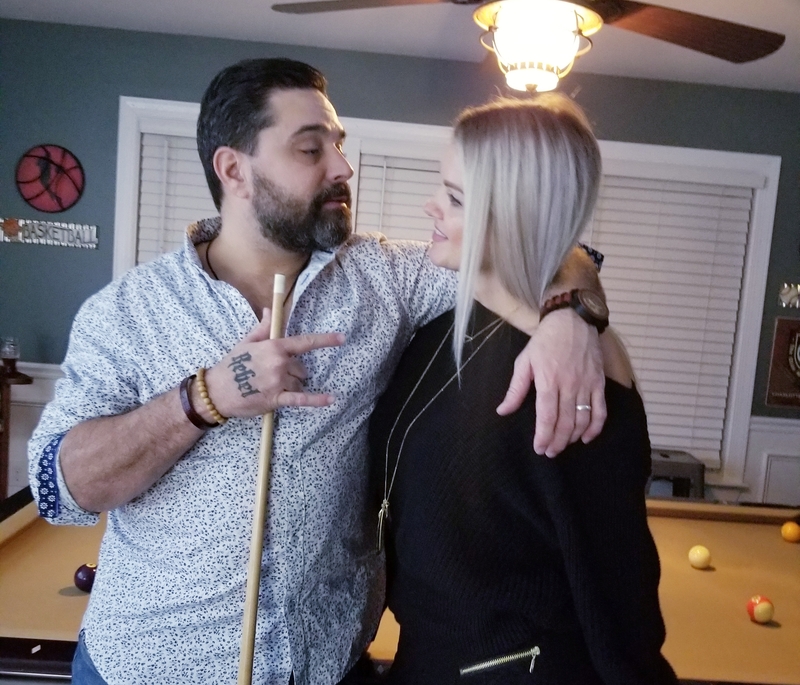 Surround Yourself With the Right People - We as a society put so much attention on the right circle of influence for the entrepreneur, but I believe to have the support system that is needed; the wife also needs a positive circle of influence. I will deep-dive into why surrounding yourself with the right people can make or break your relationship. Bonus!! You will walk away with a community of amazing women and actionable items to thrive in your entrepreneurial lifestyle. Being an entrepreneur's wife is something very few can understand. Not losing yourself in the journey is something that is very difficult not to do. That is why grounding yourself in connection with others on the same path is critically important. As a result of Amy's coaching, education, and self-development program, spouses of entrepreneurs learn how to discover their own passion, live in their own purpose, and access their own value all while supporting the dreams of their entrepreneur husband. There are only a handful of spots left. Don't miss out! 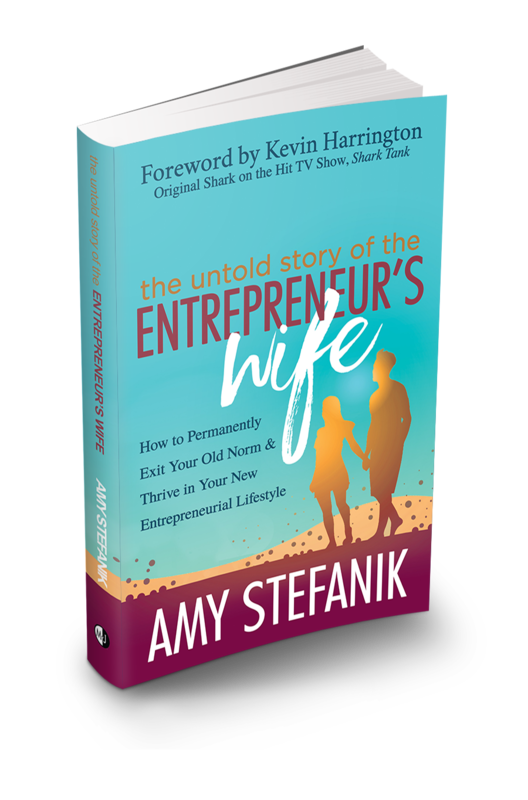 Amy Stefanik is a wife, mother, published author, and, along with her husband Matt Stefanik, has been riding the entrepreneur roller coaster since 2002. 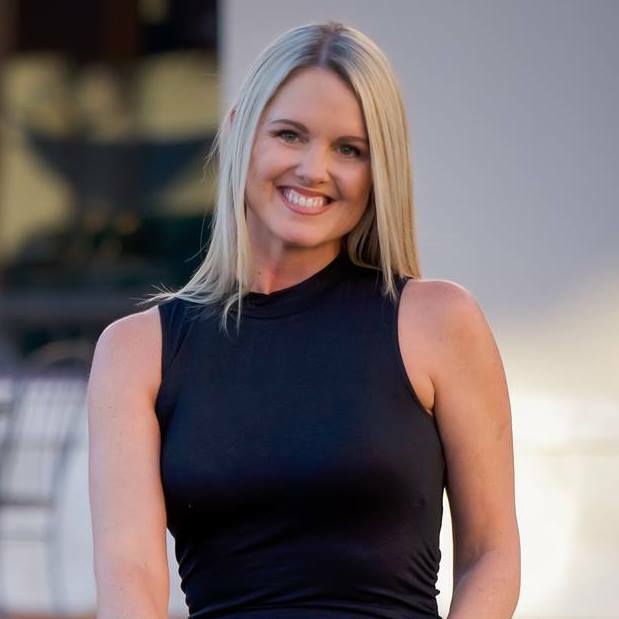 Amy is the creator of "The Entrepreneur's Wife™," a coaching business that aims to help strengthen and encourage the entrepreneurial family. Through "The Entrepreneur's Wife™," Amy coaches the concept of "one shared vision" regarding the entrepreneurial journey.